Mass Cryp Review – Legit Decentralized Advertising? Looking for a Mass Cryp Review? You’re in the right place. Today we are looking at Mass Cryp and we are going to share our full review. If you’re wondering whether it’s a scam or a legit decentralized advertising keep reading this review as we will reveal everything. No information has been provided by Mass Cryp on their website about who owns or runs the business. masscryp.com, the Mass Cryp website domain was privately registered on August 27th, 2017. A Mass Cryp token website identifies the co-founders of the company as Pijush Sarkar (CEO), Saurabh Singh (CFO) and Shashank Mishra (COO). As per their respective Mass Cryp corporate bios, Pijush Sarkar is an entrepreneur, Cryptocurrency, and Blockchain trainer. He has vast experience in building business and investing in cryptocurrencies and 12 years of experience in business development and designing business road maps for various companies. Saurabh Singh is an Entrepreneur, Cryptocurrency mining awareness trainer and has 8+ years experience in IT sector. Shashank Mishra is an entrepreneur who has 8+ years in administration management in various sectors. He has also vast experience in investing in property and Real estate business. The provided history cannot be verified and thus it can be flagged as highly suspicious. As estimated by Alexa, the top source of traffic for both the Mass Cryp main and token websites is India (73% and 35% respectively). It points out that Mass Cryp is being operated out of India itself. Theer are no retailable products or services offered by Mass Cryp. The affiliates are only able to market Mass Cryp affiliate membership itself. The affiliates of Mass Cryp invest $100 worth of bitcoin to receive $120 guaranteed return. The payable unilevel levels are capped by Mass Cryp at fifteen. The referral commissions are paid out as a percentage of bitcoin invested across these fifteen levels. Mass Cryp also offers “Turnover Sharing”, through which they claim affiliates, can “convert your $100 to $9420. It seems to be some sort of residual commission most likely tied to ROI payments to downline affiliates. The affiliate investment of Mass Cryp is tied to a minimum $100 investment in bitcoin. The company offer up a simple $100 in $120 out Ponzi scheme. Mass Cryp goes to great lengths to conceal this. There is no information about the MLM side of the business provided on either the main or token websites. MASS ICO appears to be just smoke and mirrors. Mass Cryp boast the value of MASS touched 0.21$ just in 12 days after launching at 10 cents. MASS is a non-publicly tradeable cryptocurrency. It means Mass Cryp is flogging off to affiliate investors. The US is the 2nd largest source of traffic to both the Mass Cryp main and token websites. New affiliate investment is the only verifiable source of revenue entering Mass Crypt both by way of MASS token investment and individual $100 bitcoin investments. Using newly invested funds to pay existing investors a $120 ROI makes Mass Cryp a Ponzi scheme. Like all Ponzi schemes, once affiliate recruitment slacks down, so too will funds entering the scheme. It will see Mass Cryp starve of ROI revenue, eventually prompting a collapse. 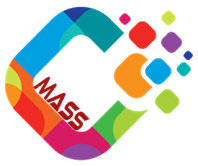 By this stage MASS’s internal value will have also collapsed. The arithmetic behind a Ponzi scheme’s collapse guarantees that most of the investors will lose money. about this issue? They should be able to get it corrected fast for you. Sorry to hear this! Hope you can get your money back!